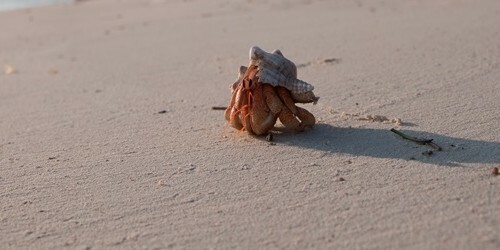 The Zanzibar Barefoot itinerary offers you a decadent 7-night escape to island paradise! We have carefully selected a small and intimate, owner run beach lodge that is nestled along the powdery white sandy beaches in Paje on the eastern side of this Indian Ocean paradise. 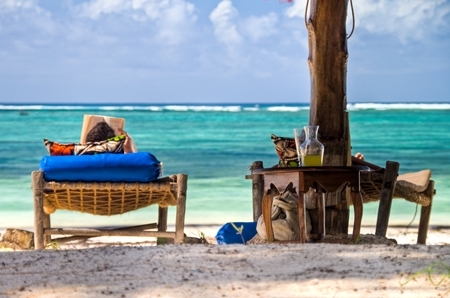 You can prepare yourself for some authentic barefoot luxury and true Zanzibari hospitality. 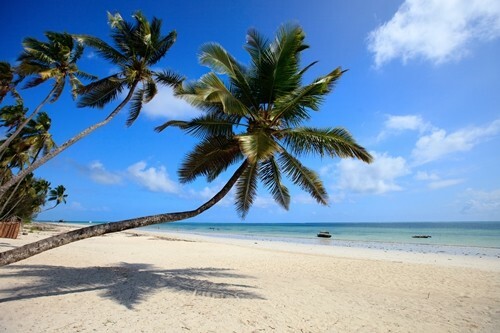 You will spend 6 full days lazing on the beautiful beaches of Zanzibar, doing as much or as little as you like! You can choose to spend your time sipping on cocktails and soaking up the sun and views that Zanzibar has to offer, or you can enjoy some coral reef diving or snorkelling, or simply a long walk along the island beaches. Arrival at Zanzibar International Airport where you will be met by a friendly local representative and taken on a quick drive through to your beach paradise where you will be spending the next 7 nights soaking up the sun and making the most of your island getaway where cocktails and sandy white beaches await you! Wake up to sound of the waves, rested and ready to take on the gruelling task of doing as little as possible! Laze the days away on the beach sipping cocktails or for the more adventurous try some snorkelling on the exotic reefs or spend a day touring this exotic island paradise. Squeeze in a last visit to the beach and a walk along the palm lined sandy beach before you are taken back to the airport for the journey home – a lot more rested and some colour in the cheeks! International Flights: We have not included the international flights from London to Kenya/Tanzania as there are ongoing flight specials with flights costing from £700 – £1000+ per person return. Speak to us to find the best deal for your Kenya/Tanzania holiday. We guarantee that our prices are competitive! Important: Prices are to be used as a guideline only to assist you with planning for your East Africa safari holiday. Prices are based on high season (mid-June – Oct) subject to change as flight prices, peak seasonal dates, exchange rate fluctuations and special offers may vary. During the months of Nov – April there can be discounts of between 10-20% depending on the lodges. Single supplements vary greatly from lodge to lodge and sometimes do not apply. Please email us for a more specific quote, tailor-made to suite your exact needs. All itineraries are samples and can be modified to fit into your exact holiday wishes.